Expand your living area with our exterior drop shades. Offering light and temperature control without blocking your views, our patio sun shades can help make both indoor and outdoor spaces more comfortable year round. Learn more about exterior sun shades from Home Impressions Inc. when you call today! 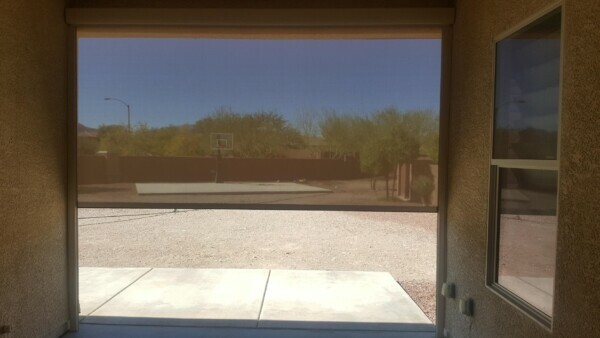 Our exterior screen and drop shade systems are designed to be mounted on your home’s exterior or as patio and porch shades. These retractable sun shades fight glare, block insects, and reduce summer temperatures to make your outdoor living area even more livable. 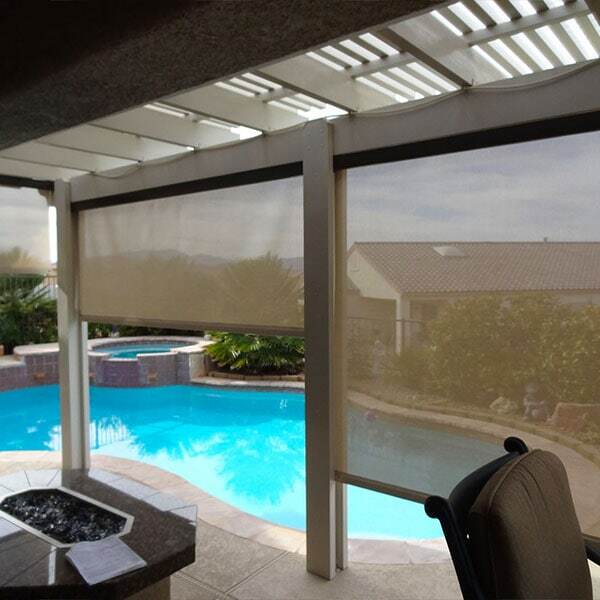 And with a huge range of options available for our Las Vegas-area customers, we can help you get the customized outdoor shades that are perfect for your needs. And unlike traditional window blinds, our patio drop shades will provide all of these benefits without blocking the view! Summer’s high temperatures can be made all the more brutal by the burning heat of the sun, but adding patio sun shades can help combat this type of solar heat gain. Your patio or porch will be a great deal more enjoyable without the sun glaring in at you, and porch shades can even help keep temperatures down inside. In fact, adding outdoor window shades can reduce indoor room temperatures by up to 20 degrees during the hottest months, helping you reduce your air conditioning costs. And, unlike window tinting (another common tool for blocking solar heat gain), our outdoor drop shades can be raised in the winter to take advantage of solar heat to warm your space. It’s these year-round benefits that make sun shades for patios such a popular choice. The Home Impressions Inc. team can discuss these, and other benefits with you, as well as provide design tips and superior installation workmanship. Just give us a call with any questions or schedule your in-home consultation today. An available bottom-track option can even help completely seal out flying insects! With rugged construction for long-term use and a 10-year manufacturer’s warranty, these patio shades will keep on providing you with cool performance and continued beauty well into the future. And, don’t forget: we also have retractable sun shade products for inside your home as well. If you’re not sure whether indoor solar shades or outdoor drop shades best meet your needs, just give us a call. Or stop by our showroom to learn more about the performance features of our interior and outdoor window shades!